You can now access tastytrade on more of your favorite media platforms than ever. 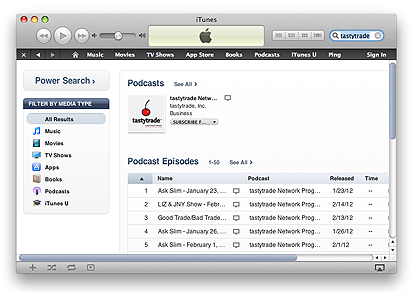 You can find us now just by searching for "tastytrade" in the Apple iTunes Store. We distribute video episodes and select audio-only episodes. Episodes are normally uploaded weekdays shortly after airing. You can also subscribe to select segment podcasts via their individual show pages located on the tastytrade website! Click SHOWS at the top of tastytrade.com, navigate to the show you are looking for, and select one of the two buttons on the far right beneath the video player (see screenshot). You can also subscribe to podcasts directly through your iPad or other Apple devices by visiting the iTunes store application, which comes with the iPad, iPhone or iPod. 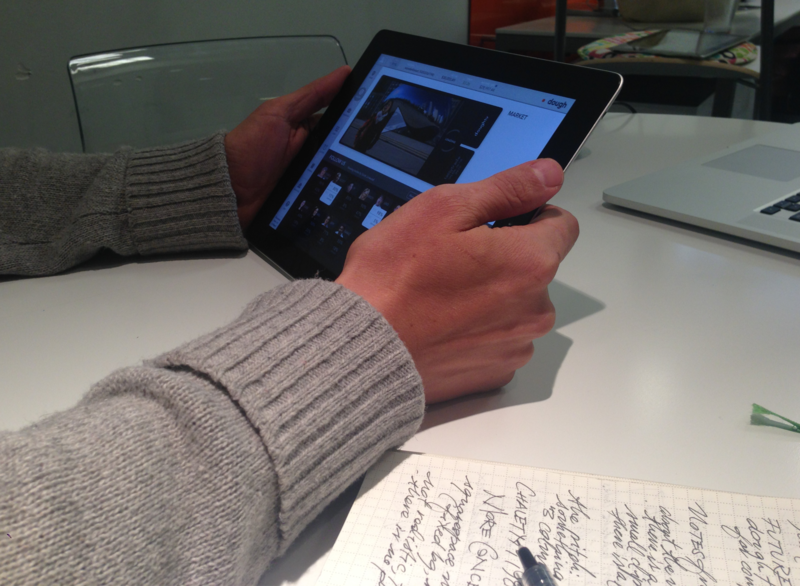 If you're faithful to your Android device, then be sure to get your hands on our Android App. Simply go to the Google Play store and search “tastytrade” to download! 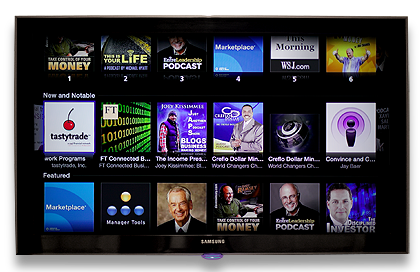 Look for us under the "Internet -> Podcasts" section of your Apple TV. You can find us in the Business Section or by searching for tastytrade. You can add us to your favorites to make it easy to find tastytrade in the future. Additionally, you can subscribe to individual shows on RSS via each show’s page! Just click “RSS Reader” icon on the right beneath the video player. Well, if you're here now, you've probably figured this out already. To watch live, press the play button on the video player on the home page! To access the tastytrade archives, click on FIND SHOWS, click on the segment you are looking for, and then click the red arrow on the upper right of the page! Don't forget--to download the slides make sure you are signed into tastytrade.com with your credentials. tastytrade is available through the Roku Channel store. 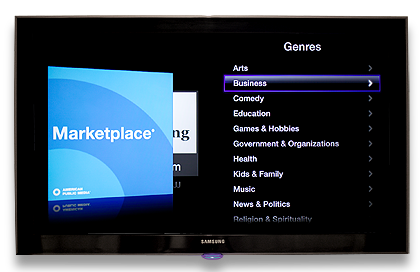 Find the Channel Store on your Roku and navigate to the "Internet TV" category. We'll be listed there, and you can click on our link to add it to your own channels. Alternatively, you can add our application to your set of Channels by following this link: http://owner.roku.com/add/tastytrade. The web page that appears will prompt you to log in to the roku site if you haven't already done so. After that, confirm that you would like to add tastytrade to your Roku. 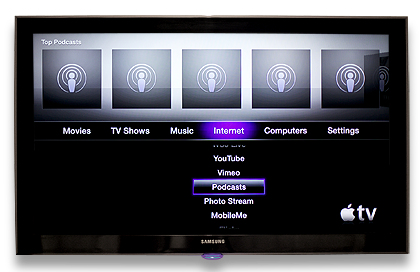 The Roku will update its channels when you visit the Channel Store, and you'll see the device installing our application. Click the "Link" button and you will be provided with a 4-digit registration code. Go to: https://feeds.tastytrade.com/link and sign in using your email and tastytrade password. Then enter your 4-digit registration code. Once the Link is complete, a congratulations message will appear on your television. You will then have access to all of our live content! Searching done simply! Use the remote control's voice search to find the tastytrade app and download it for free. If you prefer old fashioned searching, you can find the tastytrade app in the apps category of the finance section. Watch the live show and our videos on demand. Log in with your tastytrade credentials or sign up for free directly through the app! We also offer an audio-only feed through apple iTunes radio. It broadcasts live Monday through Friday from 7am CST to 3pm CST. After 3pm CST, we rebroadcast the original show until then next morning. 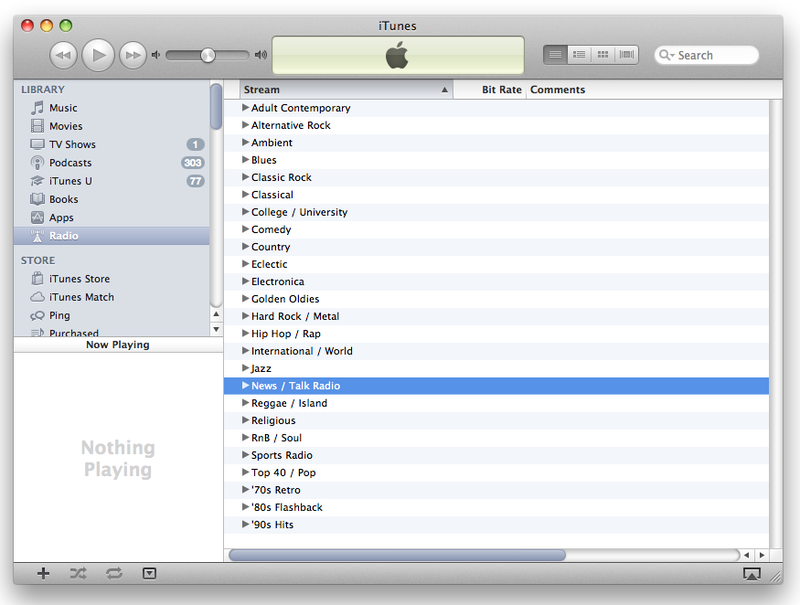 You can find us by looking under the News / Talk Radio section of Radio section of iTunes. If you have a device that accepts MP3 streams, you can connect to our audio-only feed by setting your device to point to : http://ice.tastytrade.com:8000/tastytrade.m3u. If you are using an iPhone or Android you can just enter http://ice.tastytrade.com:8000 into your Safari Web Browser URL and access our audio-only feed. tastytrade is now available on TuneIn radio! Download TuneIn from the app store to listen to tastytrade for free from your smartphone, tablet or TV/connected device. Then search tastytrade on the TuneIn app to listen live each weekday. TuneIn radio is also a built in feature of Teslas. So the next time you are cruising in your Telsa like Tom, “TuneIn” to tastytrade.